Pardee Homes is offering special end-of-summer savings on select homes purchased by October 31st at four Inland Empire neighborhoods in the master-planned communities of Canyon Hills in Lake Elsinore and Sundance in Beaumont. 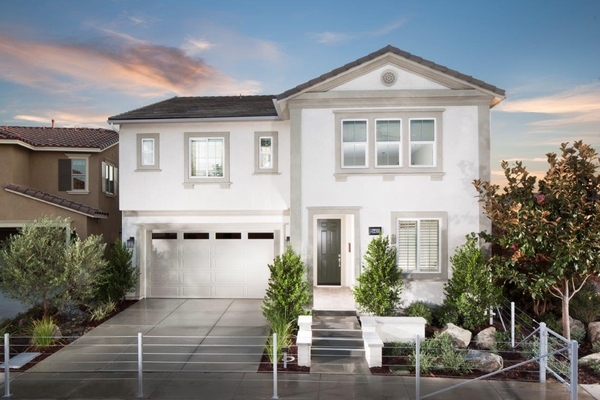 CORONA, CA, October 15, 2017 /24-7PressRelease/ — The end of Pardee Homes’ ‘Hello Savings’ event is quickly approaching and so now is the time to find truly extraordinary savings on new a new home in the Inland Empire. Motivated home shoppers can take advantage of this program through October 31st by going to PardeeHelloSavings.com, calling a New Home Specialist at (951) 399-2363 or by visiting one of four new home galleries where they will find these exceptional savings on homes priced from the mid $300,000s to the low $400,000s. The program allows buyers to save thousands on a limited collection of homes by selecting one of a several options including $5,000* towards closing costs, a choice of home decorating packages such as window coverings or backyard landscaping or a special below-market fixed interest rate as low as 3.75% (3.871% APR**). *Receive up to $5,000 in incentives on select homes, while supplies last. Incentives may be used towards one of the following per homesite: (1) closing costs (2) a backyard landscaping package (3) a window covering package, or (4) toward a buy-down of your interest rate if purchase is financed through our affiliated mortgage company, TRI Pointe Connect. To receive incentives, you must enter into a purchase agreement for an eligible homesite on or before 10/31/17, and close escrow by 12/31/17. **This is not an offer to lend. Rates effective 8/30/17 and are based on a 60-day rate lock for conventional financing. Loan scenario assumes $421,053 purchase price loan amount of $400,000 and $4,211 in points and fees. Owner occupied purchase with 720 credit score; 30-year fixed rate mortgage with an interest rate of 3.75% (3.871% APR). Monthly P&I payment of $,1852.46 (excludes taxes, insurance, HOA or other fees so the actual payment obligation will be greater). Rates, terms, and availability of programs are subject to change without notice.